perhapablog... and other ramblings: tales from the perhaps! and strange tales from the perhaps! tales from the perhaps! and strange tales from the perhaps! but we got it figured out yesterday afternoon and here they be~! these are our version of what if? or elseworlds stories featuring, of course, members of the perhapanauts cast and crew. these tales should feature alternate reality versions of our characters, not the characters themselves. por exemplo; put them in different time periods, different worlds, different story genres. a western, a horror movie, a space opera. these stories should be from four (4) to 10 (ten) pages--no more than 10--and should be a complete story (beginning, middle, and end). writers; we can't guarantee that we can find you an artist, so if you know someone, partner up! artists; if you're interested in having some fun with a perhapanauts story and are eager to add to your growing portfolio, let us know and we'll team you up with a talented writer! these tales are a lot looser and wackier. the sky's the limit and the weirder, the better! these are our versions of the bizarro comics and the strange tales stories and can be 1 (one), 2 (too), 3 (three), four (4), or 6 pages long (six). they should be fun or silly or bizarre and, once again, be wonky versions of our characters doing...well, whatever you can think of. as these tales are meant to be looser and wilder, don't run them by us first, just send them in. we can't wait! §.) a combination of any or all of the above. also any stories submitted become the property of plays well with otters. they have to. we can't do it any other way. should you have any further questions about any of this, please 'e' me at todd@perhapanauts.com and we'll getcha on your way! 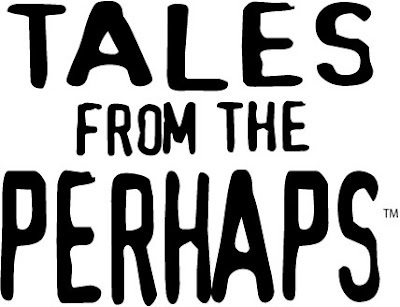 BE HERE on friday for the debut of TALES FROM THE PERHAPS! featuring the first installment of the awesome "Saints and Sinners" by Rich Woodall and Jason Copland! thanks! hope ya have fun! Cool! I think I may be trying my hand at a Strange Tales... solo! Can't wait to see these! I'm really excited for these. Especially for the world to see what Jason, Leanne, Rich, Craig, Kelly, and this other dude (can't remember his name now) drew. would LOVE to see a little strange tales from you, jason!! scott--i didn't plug your story too much yet 'cause i wanna get rich and jason's up and running first! Damn my lack of artistic ability! I've had a couple of ideas for these stories in my back pocket for a while.